I have never cooked with a raw coconut before, so I had to do a little research to figure out a) how to open it and b) what to do with it once it was open. 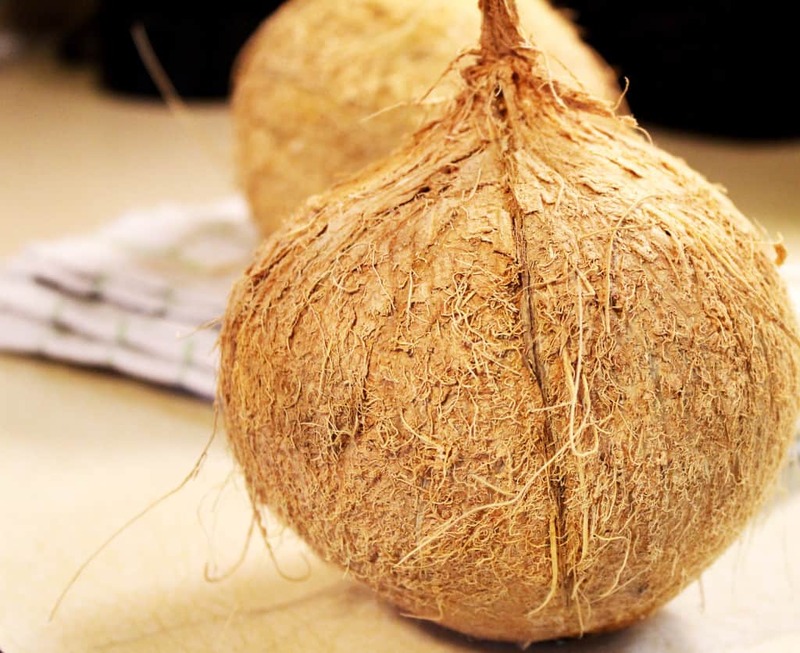 The coconut is filled with coconut water, which is a sweet, low-calorie, and high-potassium drink! 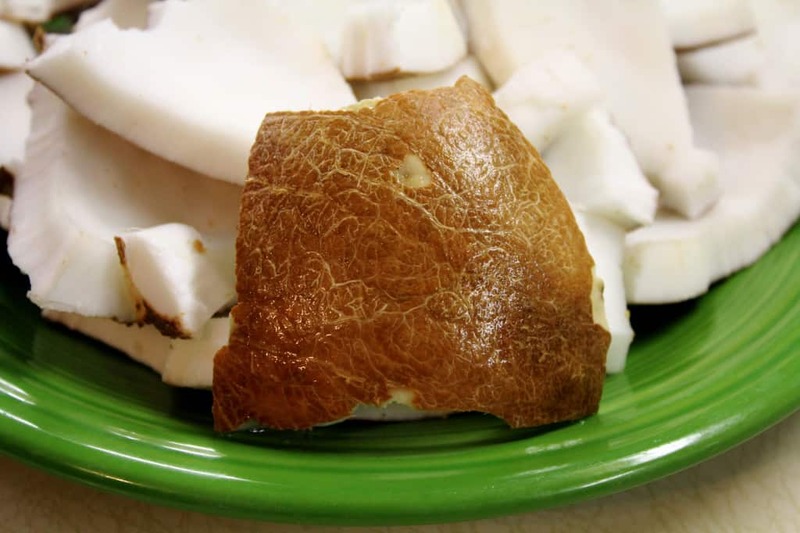 There are 3 “eyes” on the top of the coconut that are softer than the rest of the shell. 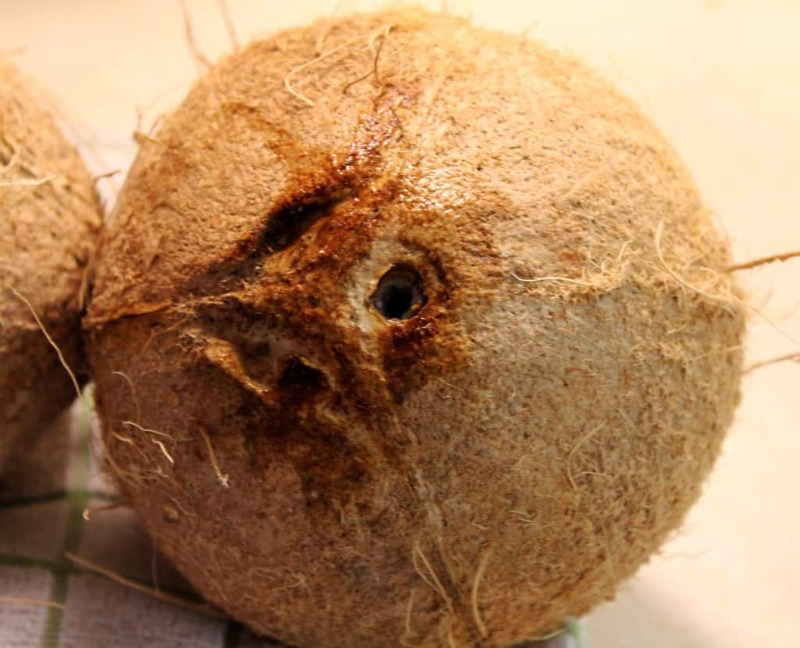 To preserve the coconut water, puncture the 3 “eyes” with a wine bottle opener. You can also use a hammer and a sanitary screwdriver to gently tap into the hole, but be careful not to hurt yourself in the process! Once the holes are made, hold a paper towel over the top of a bowl and pour the coconut water through the paper towel and into the bowl. There will be a little dirt from the shell, so the paper towel helps filter the water. Some online videos recommended using a heavy knife to crack it, but my knifes weren’t heavy duty enough, and I didn’t want to slice off my hand trying. Instead, my husband placed the coconuts on a towel and used a hammer to gently crack it open, and then into smaller, more manageable pieces. Then, carefully pry the meat from the shell with a knife. Next, you’ll remove the remaining shell from the coconut using a potato peeler. Once that is all done, wash the coconut and it’s ready to shred! I initially used a cheese grater and manually shredded a few pieces, which is effective, but a very slow process. I ended up ditching the cheese grater and used my food processor to finish shredding the coconut meat. 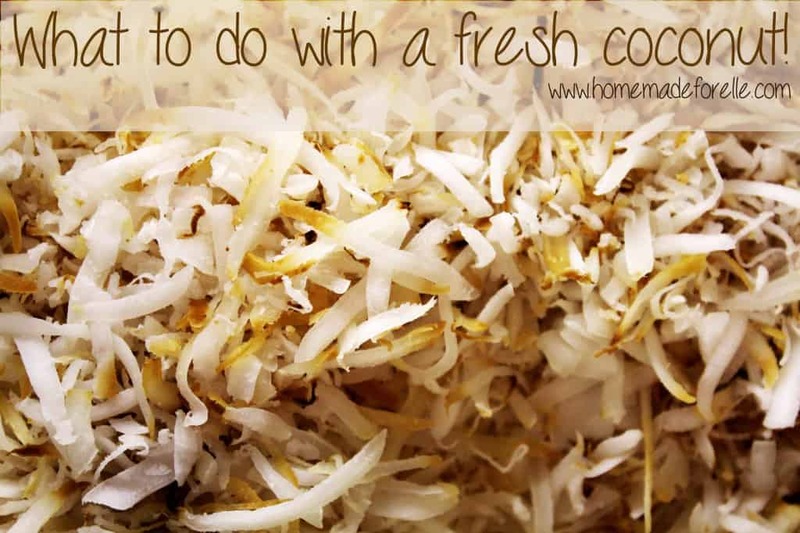 I toasted the rest of the shredded coconut in the oven at 350 degrees for 10-15 minutes. 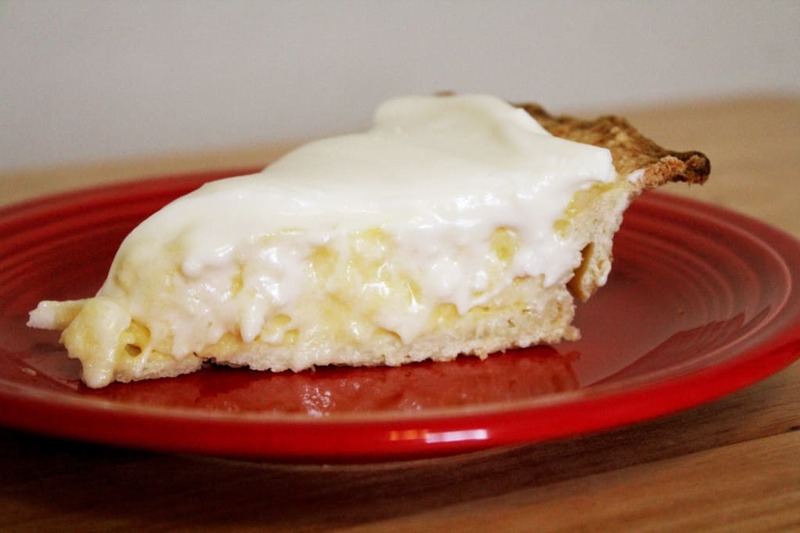 This makes a great topping to ice cream sundaes, fruit salads, or use it in to make your own homemade Girl Scout Samoas! 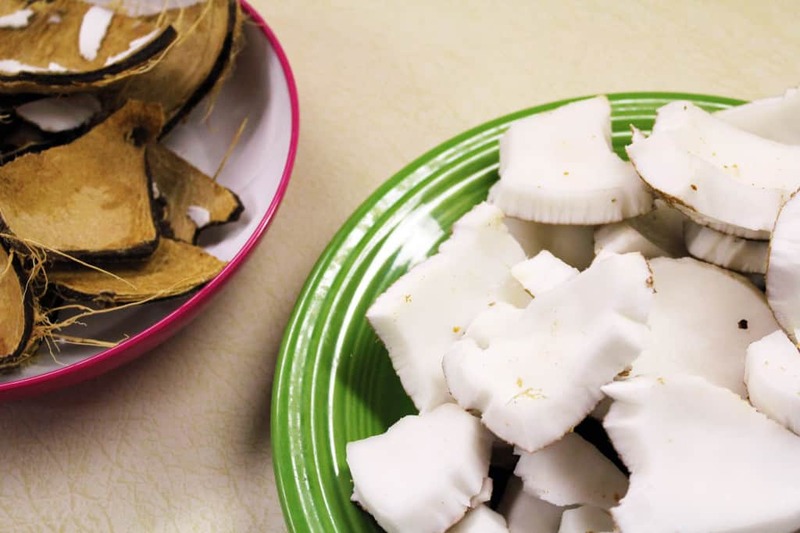 Make a face mask by finely grating coconut into a pulp, and apply it to the face as a mask. 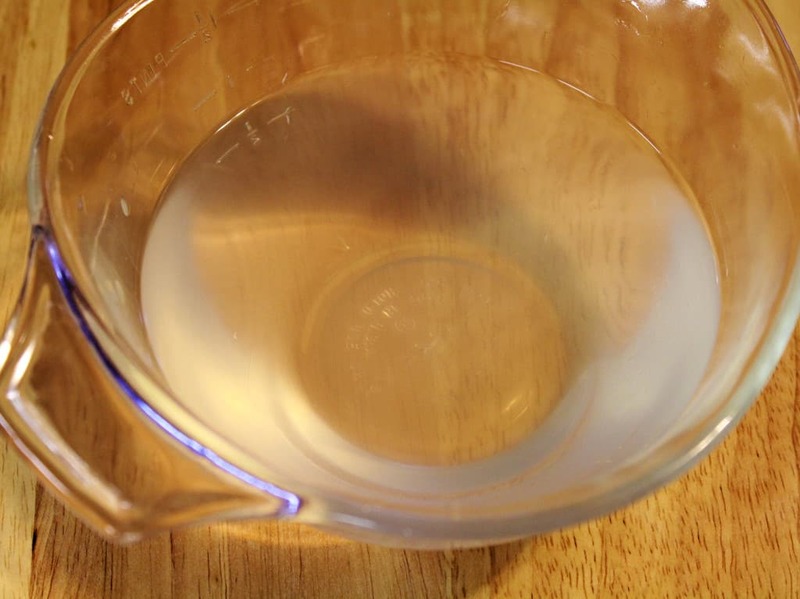 Leave on for 15 minutes to absorb excess oil and moisturize.